The other day I was walking around town handing out flyers trying to convince people that yes, the Earth is flat, but it’s wrapped around a spherical core, so it just seems round. There’s a difference. 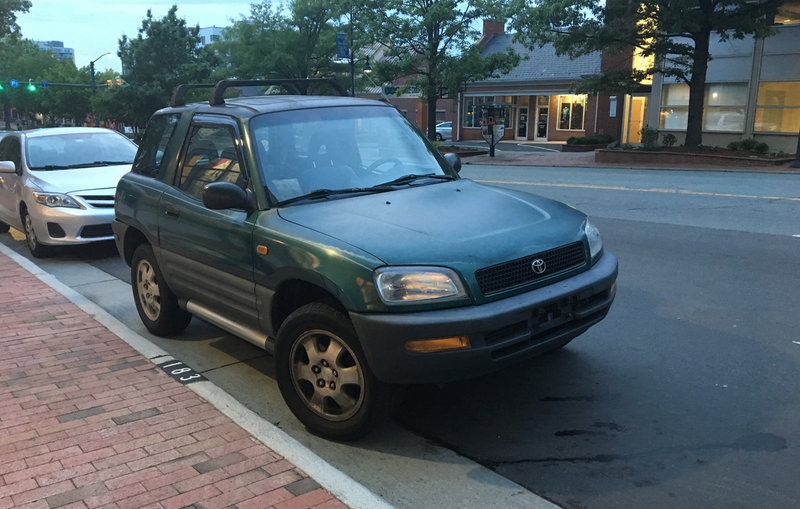 While I was out I saw something that stopped me in my tracks: a first-generation Toyota RAV4. I haven’t seen one just around in quite a while, and now that I have, I find my self smitten. And a bit sad, since I know what the RAV4 has become. When was the last time you saw a Mk 1 RAV4? It’s sort of disarming how small they are, especially the two-door one like what I encountered. The wheelbase is short, overhangs are minimal, ride height is good—no wonder these were once capable off-roaders. The design is quite ‘90s, but I think has aged pretty well. The gray, ribbed lower cladding actually works well, joining in with the basic gray bumpers to give the car a two-tone quality, along with covering the lower third of the car with hard-wearing materials that don’t need to be painted, a real plus if you wanted to actually use the car for fun stuff. 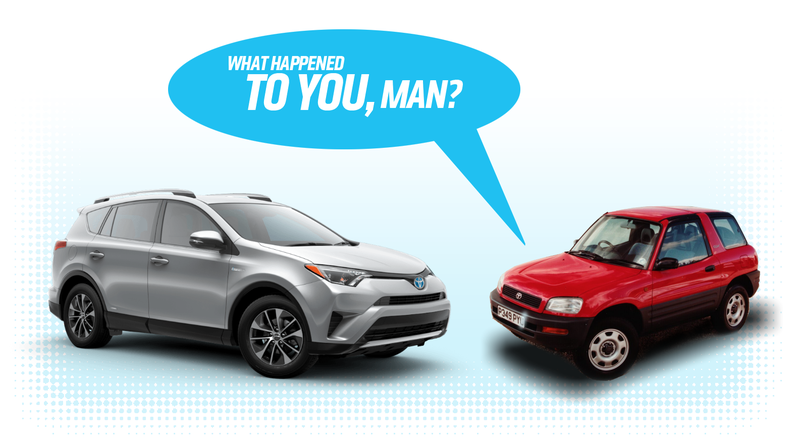 More nostalgic love for the original RAV4 to be found at Jalopnik! And I found this oldie but goodie on Jalopnik's sister site OppositeLock from 2015, might as well post it too! 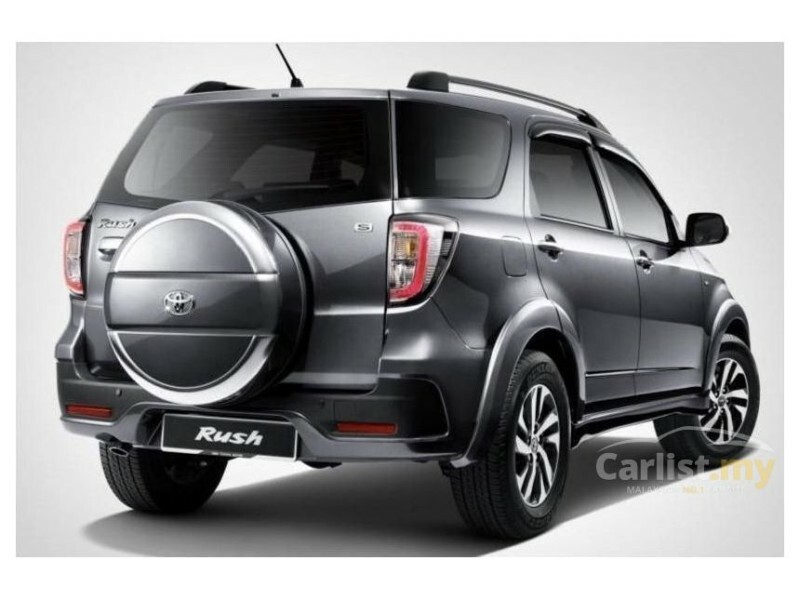 The RAV4 as exists today is a commodity in this ever more crowded segment, a product of market research and trending consumer priorities in the Compact SUV vertical. Or, translated from marketing to English: designed and built to be the least offensive to the most people. I'm not calling it beige, but the the current models favorite ice cream is definitely vanilla. And while you can hardly blame Toyota for trying to increase or maintain sales in an ever crowded market by researching and building to the fat part of the curve its hardly inspiring. I didn't used to be that way though, The RAV4 used to be cool. 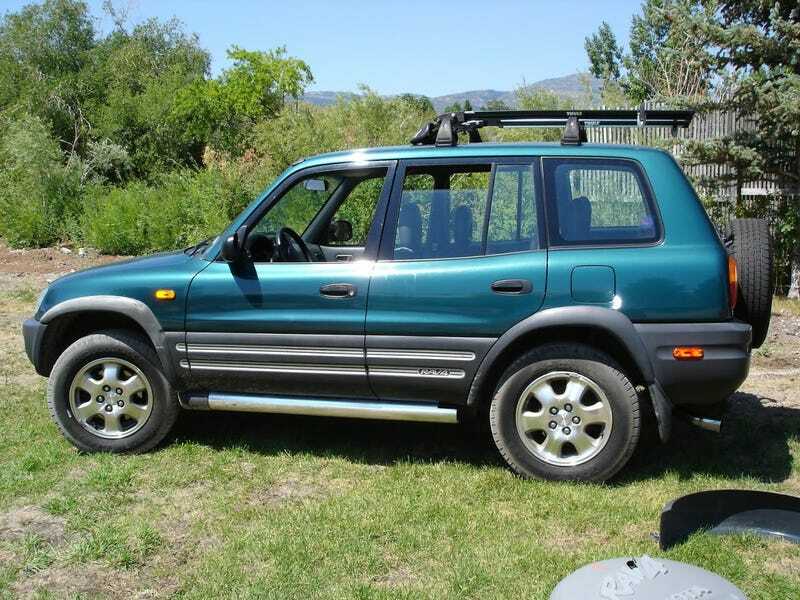 Had Toyota left the RAV as it was 20 years ago, the same people would be complaining that it was stuck in the past. As the commercial said, "Toyota, Moving Forward". There is a number of 4.1 RAV4s running around in our semi-rural small town area. I asked one owner how his was doing after all of this time and he said that it still is a great vehicle and he isn't about to get rid of it. I'd say the sales numbers show what buyers like, there were way more 2017 Rav4s sold in one year that the total production of 1996-2000 first gen Rav4s! 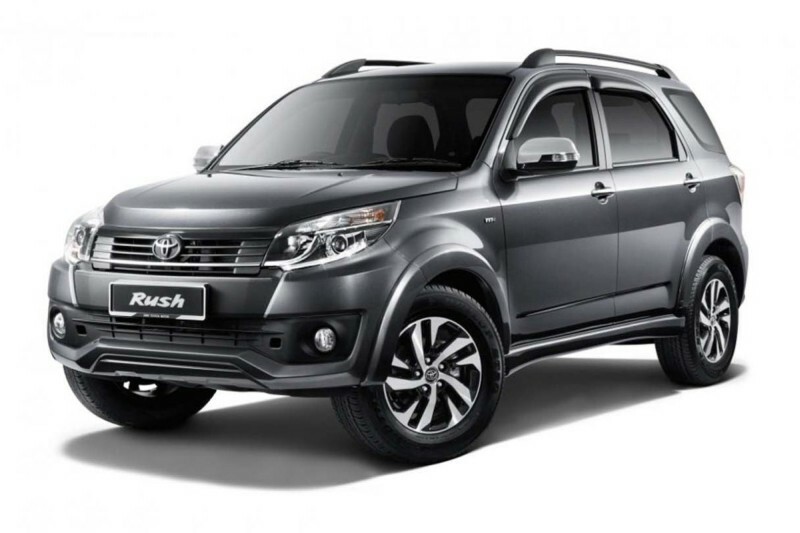 By enlarging the size, Toyota left the small SUV market behind. When one looks at the smaller SUV models that are available in other global markets, one realizes that Toyota has little interest in filling this segment of the market here in the US. Would be great if they were to bring back something the size of the Suzuki Jimny which is still in production for other markets and poised for a 2018 retool. Of course, having had its reputation trashed here in the US, it's unlikely Suzuki would bring that model back but it could come back as a rebadged version by another company. I liked the previous version as well. 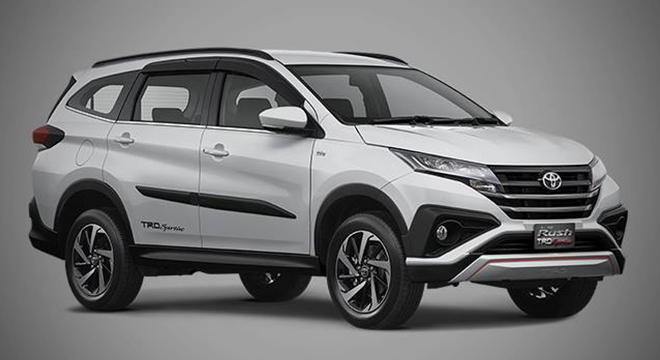 Now all that one in the U.S. has to do in order to buy one apparently is to move to Asia . . ..
What about the CH-R, thats fits the smaller SUV market.